U.S. Food and Drug Administration (FDA) Commissioner Scott Gottlieb (in the job for two weeks) testified before the House of Representatives Appropriations subcommittee yesterday (May 25, 2017) and mentioned that he intends to roll out a drug competition action plan soon. The plan would speed up the approval of generic drugs and hence help lower prescription drug prices. We are dubious if government regulatory actions will drive prices down, but we do believe pharmaceutical prices are likely to come down considerably, for a variety of reasons – all related to technology. 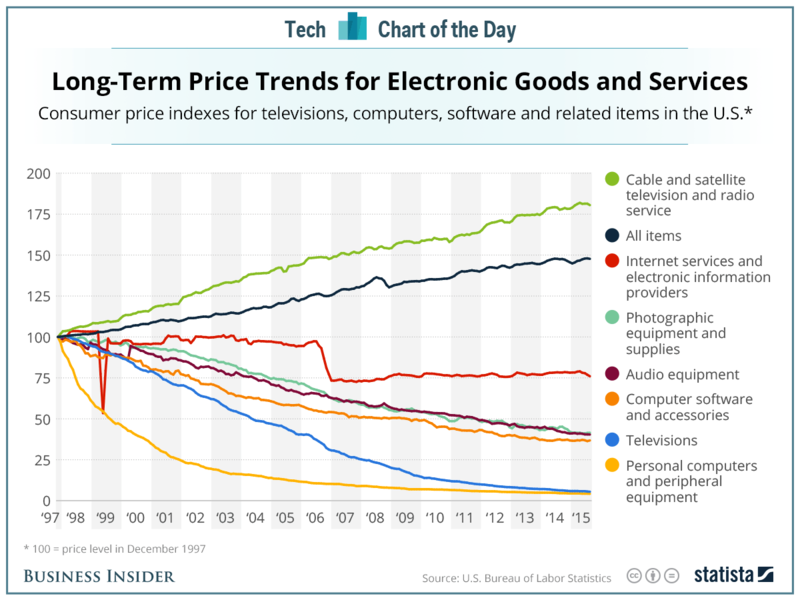 This graph shows long term price trends for a variety of electronic goods and services. I’m not an economist, but it seems to me that the more precipitous price drops relate to technology focused products with the least amount of regulatory interference. From a base in 1997 of 100, the price of a basket of goods reached 150 (based on aggregate CPI), while the price of PCs and TVs dropped to about 5. 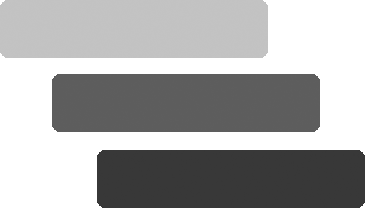 Relative to pharmaceutical prices, data from the U.S. Bureau of Labor Statistics augmented by an AARP Rx Price Watch report of December 2016 suggests pharmaceutical prices climbed to 260 in 2015 from a 1997 base of 100. Just as with electronic goods and services, technology will drive down pharmaceutical prices. Technology related to chemistry, biotechnology, logistics, electronics, personalized medicine, communication, and all that we now can’t imagine. With or without the regulators, pharmaceutical prices will come down and patient benefits will increase. Regulators have a role to play, but I suspect price declines will happen sooner and more aggressively without the regulators.